FabMags produced its very first magazine in 2006 under the banner of Estate Press, a niche publishing company focused on producing estate based magazines which delivered estate news and interesting estate lifestyle articles to residents of leading KZN estates. Our very first estate, Seaward Estate, is still a customer of ours and we’re proud to still be publishing their monthly magazine. 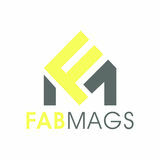 Today FabMags has 18 titles in its stable and reaches ten of thousands of readers every month. The business has developed strong partnerships with leading local, regional and national brands and works hard at unlocking value for it advertising clients.